Plaque and tartar can harbor dangerous oral bacteria that can lead to serious gum disease, cavities and discolorations on your teeth. Plaque is a colorless film that is constantly developing on your teeth. It is composed of bacteria, which feed on the sugars in the food you eat. They then create an acidic waste product that can damage your teeth. These acids ultimately erode dental enamel, which leads to dental decay. 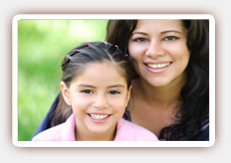 Once a tooth is decayed, it will never fully recover and must be restored with a dental filling. Plaque that is not removed properly can begin to harden into tartar in just 24 hours. Tartar is a mineralized substance that adheres to your teeth just like plaque does, but it can only be removed by a professional cleaning. Tartar often forms at and beneath the gumline and gives bacteria more surface area. Tartar has a rough surface that easily adheres to plaque, and it cannot be removed by brushing alone. Both substances are directly linked to poor dental hygiene, and they can lead to cavities, gum disease and other dental health problems. Prevent plaque buildup by brushing after meals or twice daily, flossing daily and visiting our dentist at least twice a year for professional cleanings and checkups. Eating a healthy diet can also reduce the amount of plaque that develops on your teeth. Avoid starchy or sugary foods, and eat a tooth-healthy diet with whole grains, fresh produce and lean protein. 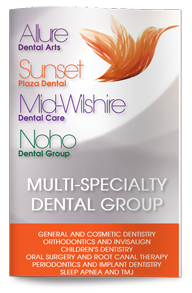 Contact our dental office today to schedule a checkup or cleaning with our dentist in West Hollywood.